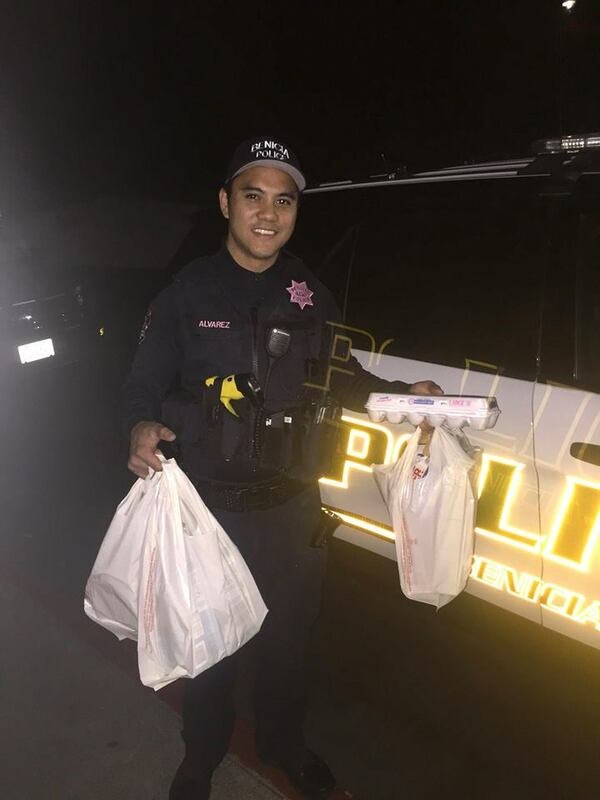 A police officer in California went above and beyond the call of duty after receiving a call from an out-of-town family worried about an elderly family member who was home alone and not responding to their calls. This week, Officer Alvarez went back to check on her to see if she needed anything. She is confined to a wheelchair and receives meals on wheels a couple times a week, but was in need of a few additional items. He took it upon himself to do a little extra shopping for her at a local store and run back by her residence with some additional groceries.